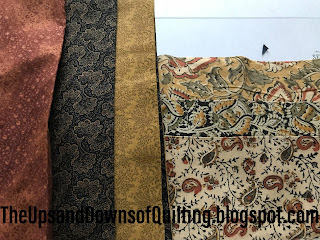 Most of my quilty friends know not to ask how many projects are IN PROGRESS. 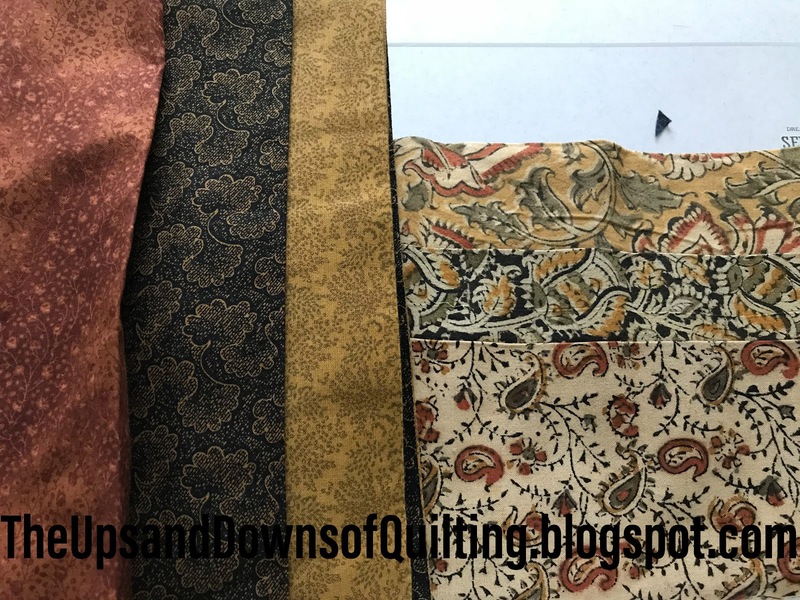 So many of my quilts "in progress" have begun as leader and ender projects. 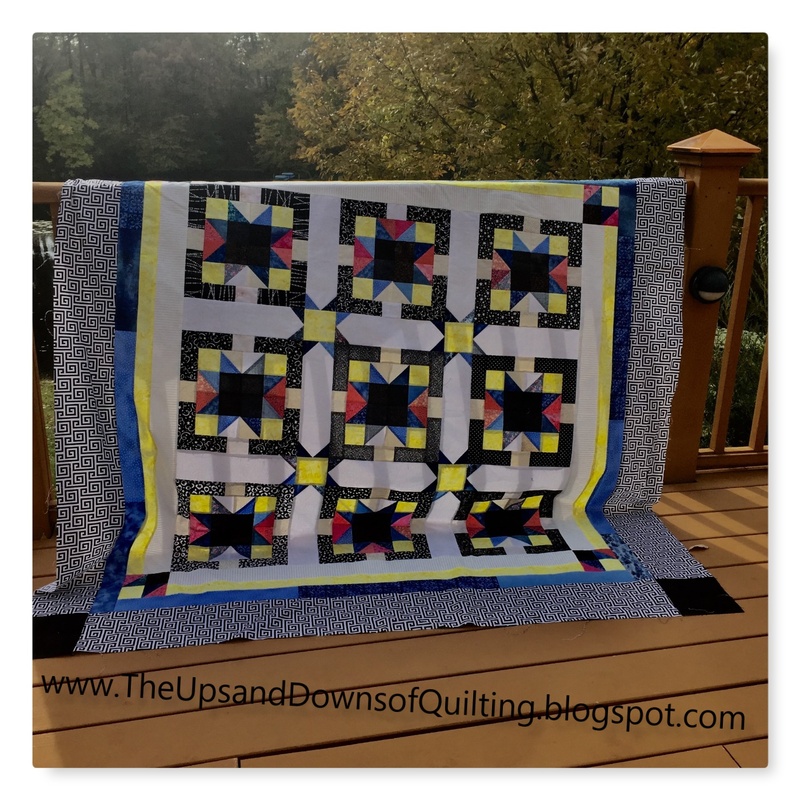 I have made a couple quilts from 9 patches that were made between other quilts. 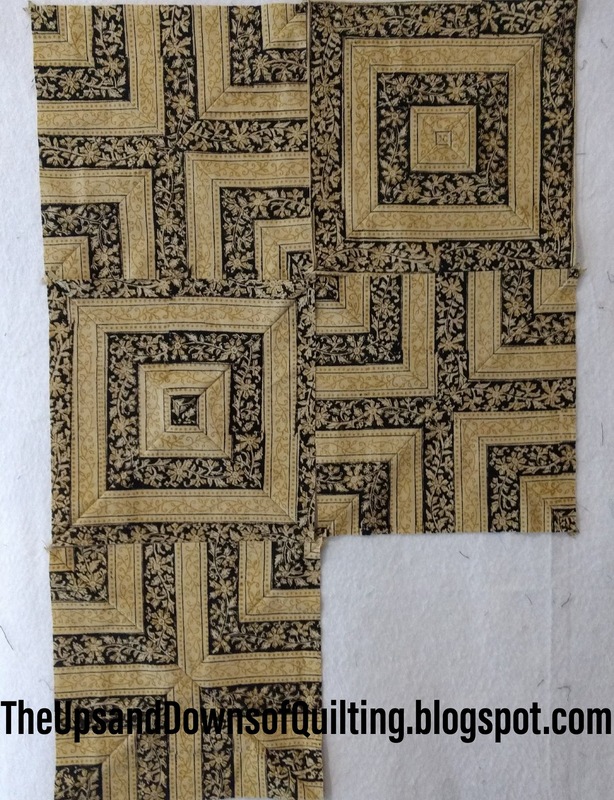 This one is based on Bonnie Hunter's Zig Zag 9 Patch. It is still within the family collection and was completed in 2015. Note the border is purple, not blue as the picture appears. Here is the latest quilt. 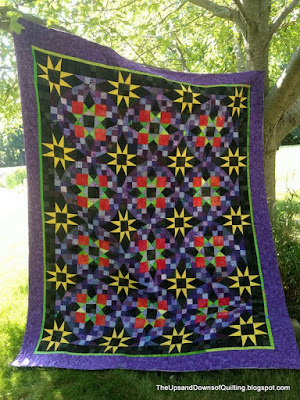 I love just a little black and some appliqué in most of my quilts. Check out the quilt on our "his & her" Adirondack chairs. We made these from a large pallet delivered from a home improvement center. We made these chairs on the weekends while we split our time between our home and work a couple hours away. So far my DH has yet to join me sitting in the chairs. I enjoy downloading a magazine on my mobile device and having some coffee (or other refreshment) while reading overlooking the lake. You can see how close the chairs are to the lake. We have 3...yes 3 snapping turtles that have made a home in the lake. They like to hang out just in front of the chairs. 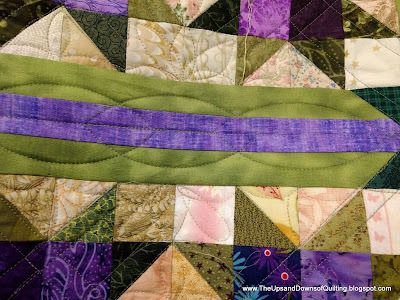 Check out the "lifesavers" added to the corners. This is similar to some of tiles in my Mahjong screen version. 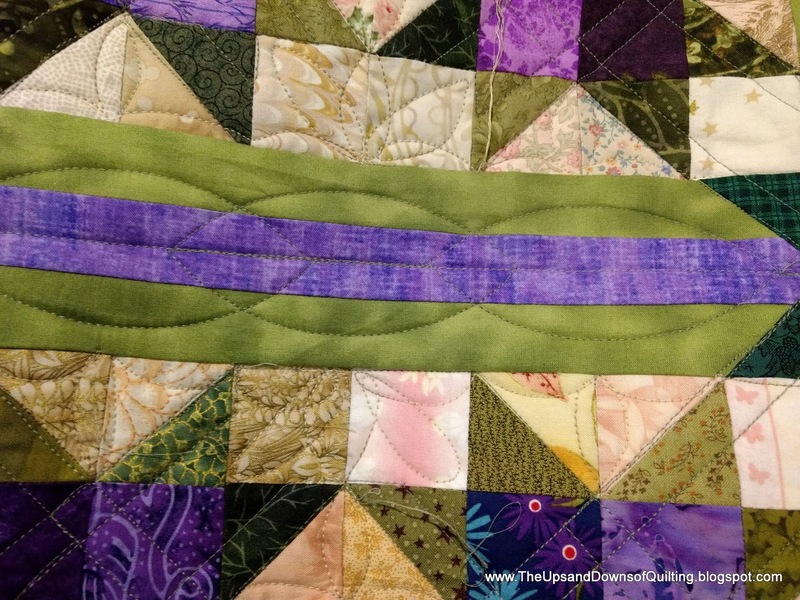 This time the corners were appliquéd down as part of the quilting itself. 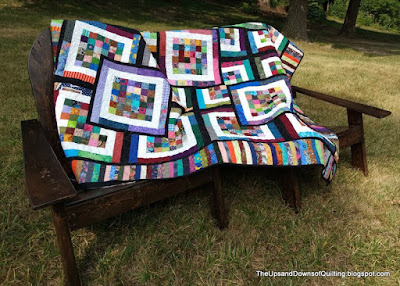 DH has requested that this quilt stay within the family. That is one way to tell it is a hit! 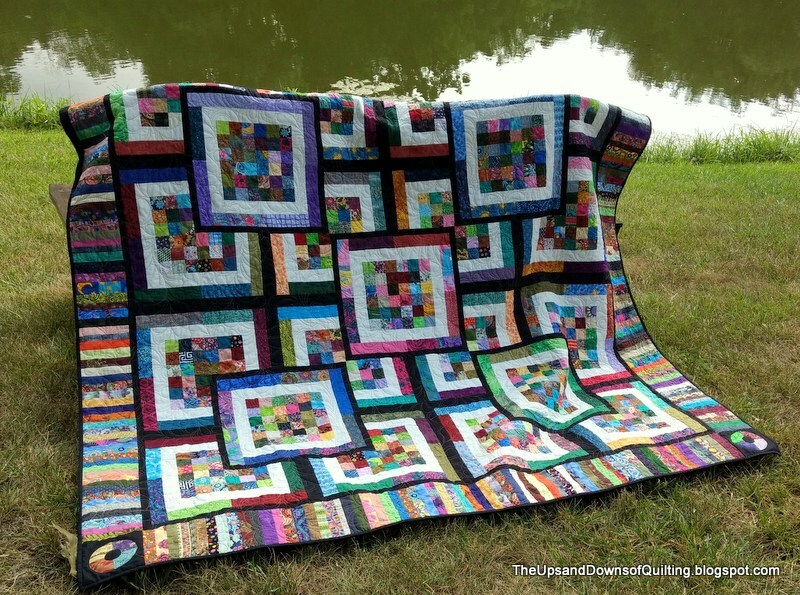 Hopefully come 2019, this will be a class offering through the Mississippi Valley Quilters Guild. 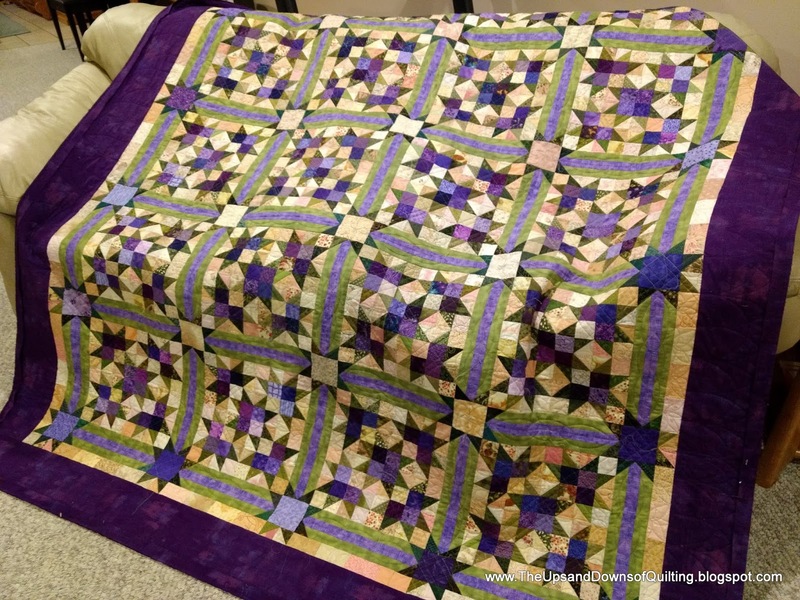 So FYI, I now have 2 guilds, Mississippi Valley Quilters Guild and Prairie Star Quilters Guild. Both of them has shows coming up. Both shows are great. Here are the links to the guild websites. I hope to check them both out. 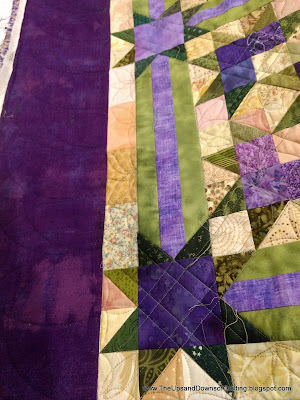 After a year and a half.....it is ready for binding. Do you recognize it? It is different than others you have seen. I changed the background to black and shifted some colors. Oh! 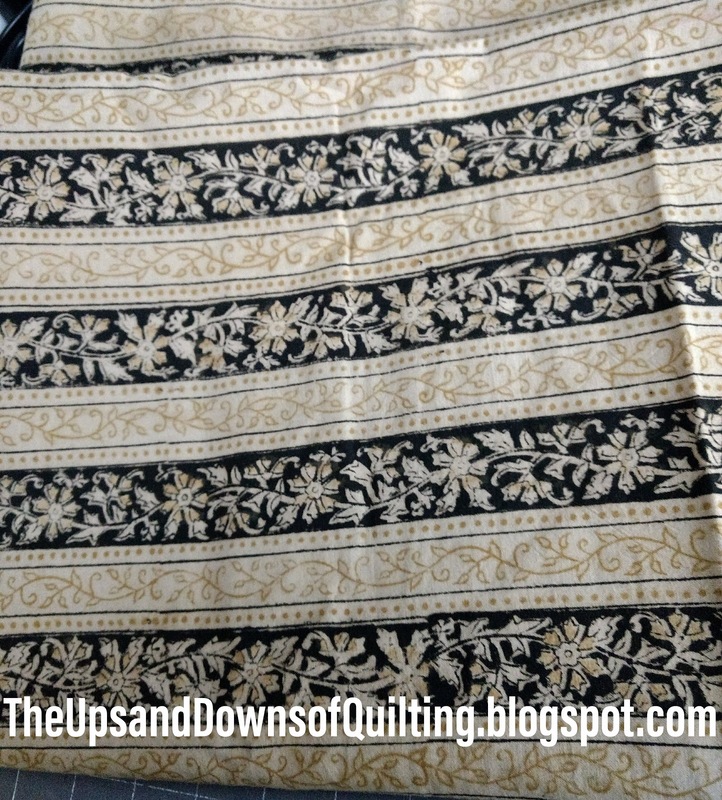 and 1 sashing difference. It is "En Provence". Bonnie Hunter's 2016 mystery. Why wouldn't I make it? Enough projects were going. Didn't have time, high school senior, just plain ole too much going on. Why did I change my mind? The scrap crystal quilt was using many of the same size and colors. Might as well just run some of the mystery stuff through the machine. So glad I did. I just love both quilts. 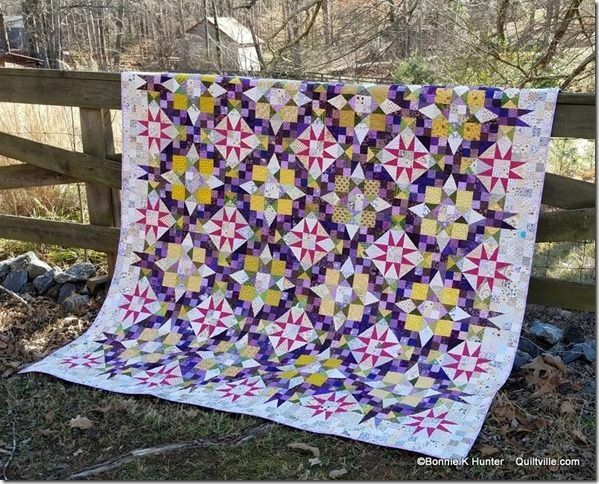 Coming soon....progress on Cathedral Stars. So excited that I had the opportunity to take this class with a newer friend, Shawn. Definitely a good new friend. She so kindly put me up after the Bonnie class. This was needed since DH has now retired and we have moved out of the temporary housing. It is so nice to be back in our own house. I will dearly miss all the new knitting and quilty friends from the Chicagoland area. Keep watching......life may just swing to the quilty side. Reporting here should happen more frequently. 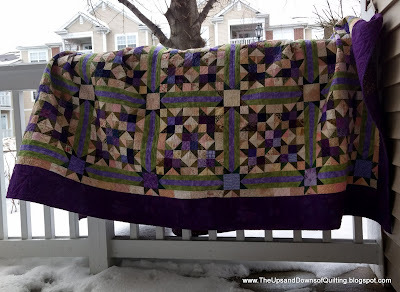 Last year my goal of a quilt finish every month was close but not quite achieved. The list of finishes might be close to 1 a month.....but it wasn't close to the list of projects that I wanted to complete. How does that happen....finish quilts but a number of UFO’s still exist. This was on the 2017 UFO list. 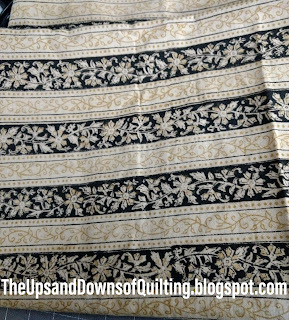 One of the ways this occurs is by not getting the "quilting" done. I’m not doing much on the long arm lately, spending too much time with DH in the apartment. That means lots of tops hanging around. Scrap Crystals, the June 2016 Bonnie Hunter class is now off the machine and done. My goal on this one was to practice diagonal straight line. These are pretty good....a whole lot of them are awful. I do like the design on the sashing. It is amazing how an arched template and a little imagination can make a neat design. The binding was put on in the apartment, a quick photo with the snow on the porch. This quilt is now on the long arm. So this month the goal is to get it off the machine. 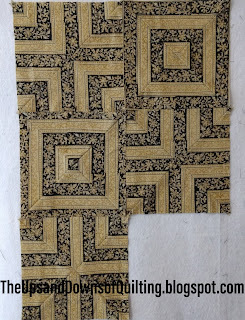 Then the binding can put stitched down in the apartment. Not today. Sewing at my besties house for the day!